Her name is Linda and she is the camp host for the Lane Spring recreation area. She popped by this morning to say hello and offered to teach me how to hunt for morel mushrooms or take me to some of the interesting sites in the area. I told her I needed to do laundry and fish before I pack up but thank you very much. 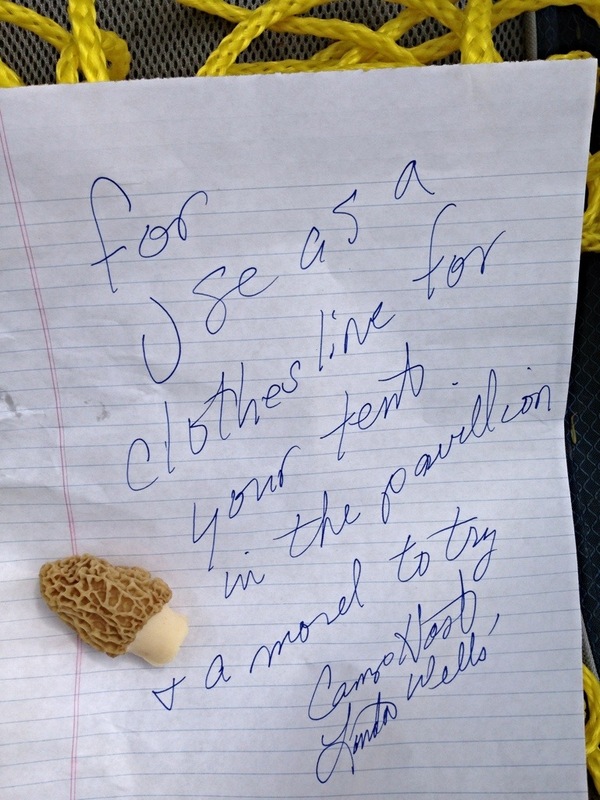 When I returned from doing laundry I found this lovely note with rope to help me hang and dry my equipment and a freshly picked morel. 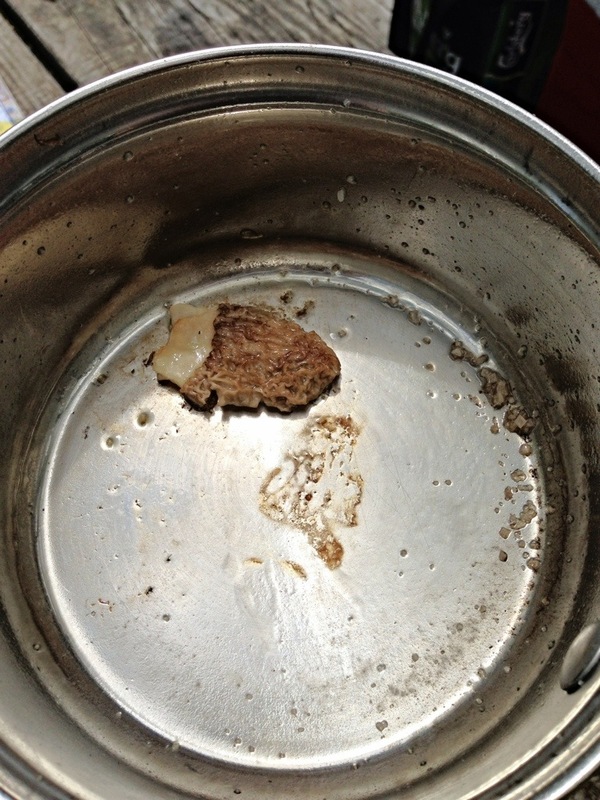 I cooked it right away. I simply heated up a little extra-virgin olive oil, sprinkled some French sea salt and it was one of the most delicious mushrooms I’ve ever eaten. Tomorrow we hunt mushrooms. 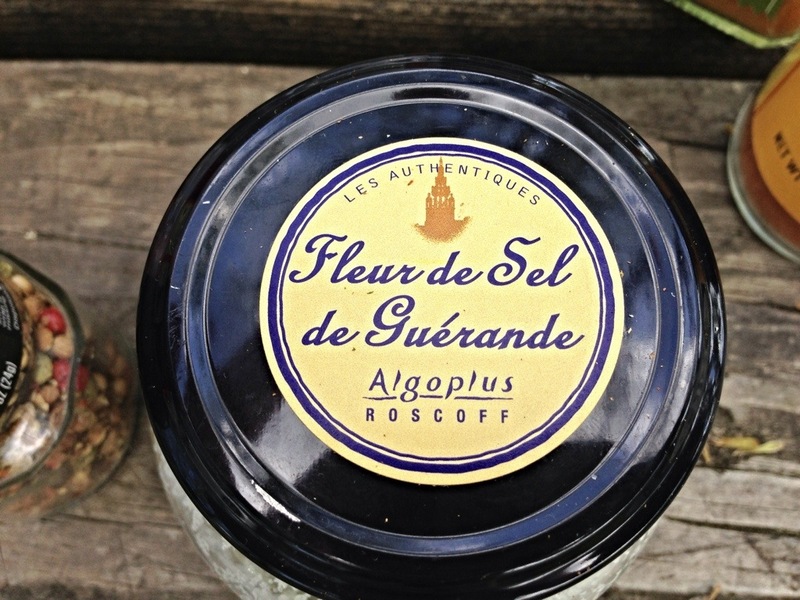 I prefer using the fleur de sel de guérande but you could substitute it for any fine French sea salt you brought with you camping. Morel mushrooms are one of my favorite foods in the world. I remember hunting for them as a kid. We would typically batter and fry them. My sister sent some on dry ice to me in NY a few years ago. I tried using a corm meal batter instead of flour and liked the crispiness. Tomorrow I’ll try that. Today I was limited with things I could coat the shrooms. Are you leading her on…to get your hands on more mushrooms? I would. Linda seems textbook. This morning I refused her offer for a date and I got one mushroom. Tomorrow I’m going to be a little rude and totally snub her and hopefully she goes get me a full dinners worth of mushrooms. I know women. Heading into Illinois today. I will hit Oklahoma on the way back down. Zigzagging north and south.